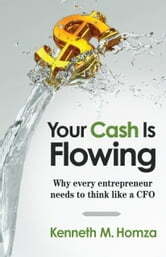 “Your Cash Is Flowing: Why every entrepreneur needs to think like a CFO” is a book for entrepreneurs who want to increase their financial literacy and profitability. Ken Homza is a leading fractional chief financial officer (CFO) who has worked with more than thirty companies to solve business problems, turn losses into profits, and achieve organizational goals. Homza believes that the financial intelligence of most entrepreneurs is far too low, and he has made it his mission to bring a greater level of financial knowledge to businesses across the globe. While entrepreneurs and businesses owners are passionate about their companies, too many lack the financial acumen to drive their enterprises to remarkable levels of success. Although they have traded the day-to-day employment rat race for the freedom, flexibility, and risks of entrepreneurship, many have failed to achieve the appropriate financial reward. Homza’s book is filled with thought-provoking examples, real life experiences, and tactics and methodologies that all entrepreneurs can apply to their business to drive them to higher levels of profitability. “Your Cash Is Flowing” is not a textbook. Each chapter is short and to the point, leaving readers with a key takeaway. Readers will want to keep this book nearby as they increase their financial IQs and see profits increase from month to month and year to year. Entrepreneurs will learn how to think differently about their business, why it is critical that every business has a long-term and annual financial plan, and how spending the time every month to understand their financial statements can lead to new insights about their businesses, even if they have been running them for years and don’t think they have anything new to learn! 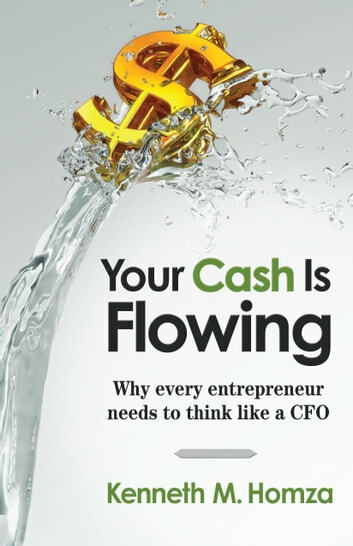 Whether business owners want to attain worldwide success or provide a better standard of living for all stakeholders, reading “Your Cash Is Flowing: Why every entrepreneur needs to think like a CFO” is the first step toward achieving their goals.